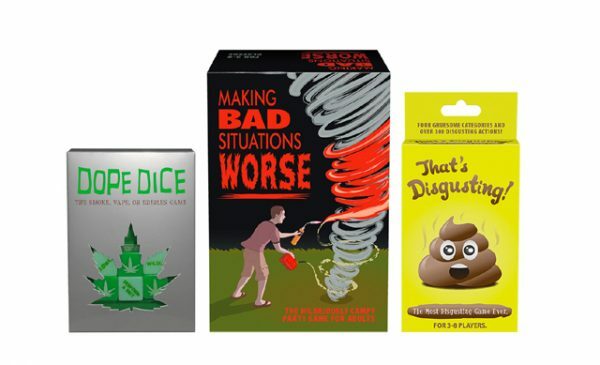 Those who fancy an evening of Drunken Debauchery will probably be interested in the latest launch from Kheper Games, which promises exactly that. 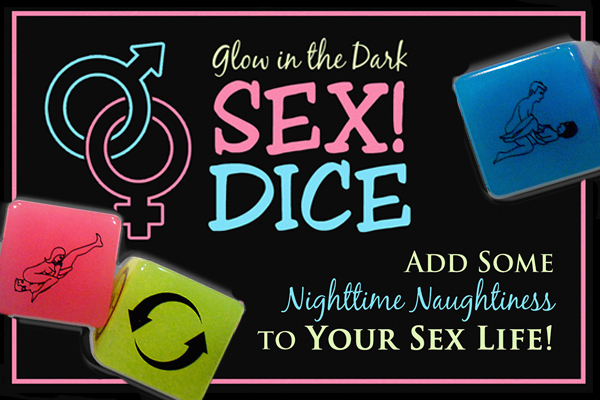 The Drunken Debauchery Dice Game is a set of six dice which are represented by six different colours and actions. 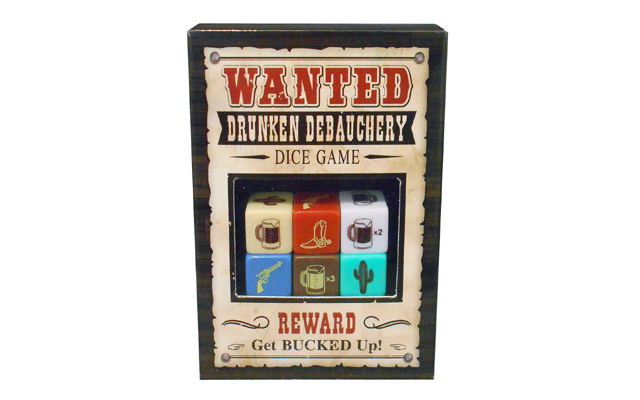 Each die is created with a gun, a cactus, a boot, and a beer mug that all represent a different meaning in the game. If a gun is rolled then you are out of the game.